Snrky: Buzzwords can alter the spacetime continuum? Buzzwords can alter the spacetime continuum? 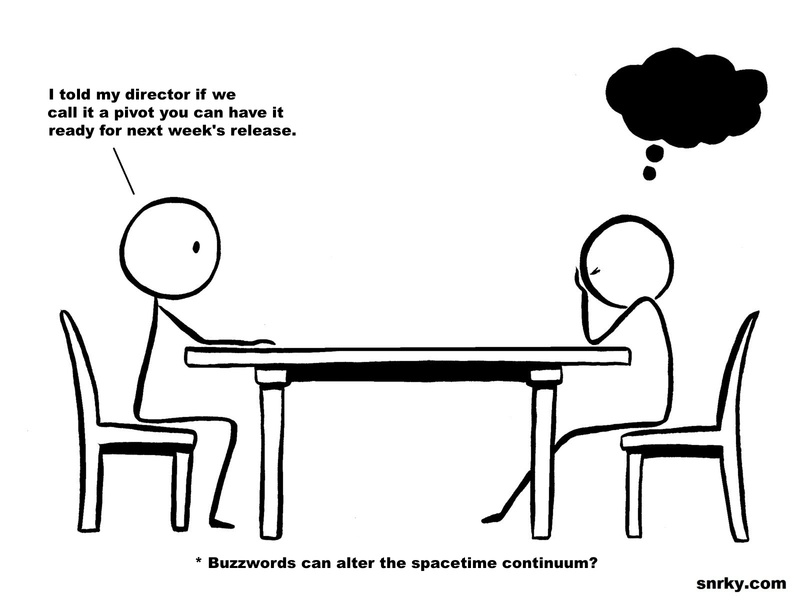 Title: Buzzwords can alter the spacetime continuum? Snarky: I told my director if we call it a pivot you can have it ready for next week's release. Organizations and the managers that work within them are constantly looking for new ways to improve their team and project performance, so it's no surprise when a new software development methodology appears on the scene, which seems to be often lately, hopes are high that they've discovered the silver bullet they've been looking for. At least for those people out there who don't hate them.